A new housing development set on Llandudno's West Shore has proved to be a true home from home for the schemes first three residents. 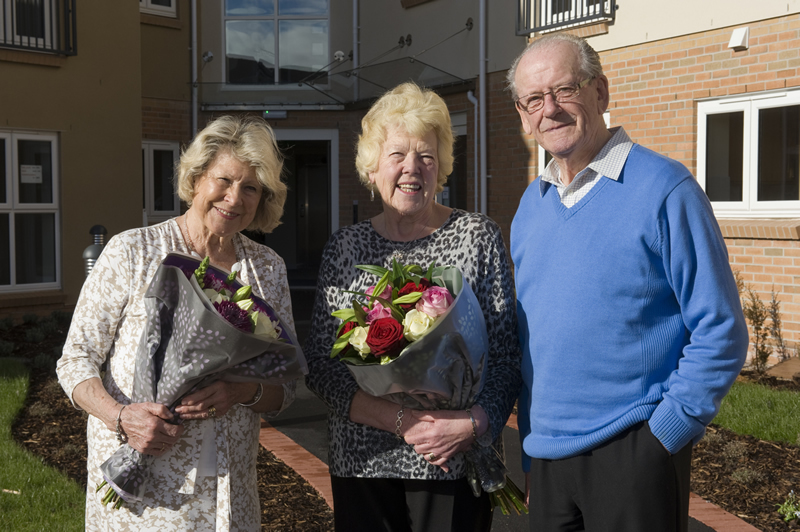 Hafan Gogarth is a luxury development of 35 apartments designed exclusively for people over 55. Mr Richard Geraint Ellis and Mrs Evelyn Rosemary Ellis have relocated just yards from their former home on adjacent Abbey Road whilst Barbara Sandbach ran a guest house on Great Orme Road for many years. All three were looking to downsize from their larger family homes but were keen to stay within the area. Mrs Sandbach said: "It's lovely and warm here and so quiet. I can't fault it; I really love it. I'm as happy here as I've ever been. My flat is so convenient and it is so easy to walk into town. All the services are here. It's all I would wish for". The scheme is proving to be popular with local residents who recognise that Hafan Gogarth offers an excellent proposition for those looking to downsize but still keen to stay local. David Roberts, Chair of domus Cambria, said: "This scheme is helping fill a definite gap in the market for local people who are looking to make the move to a home that caters for changing needs in later years. Hafan Gogarth is set one of Llandudno's most prestigious street, minutes away from the town centre - in essence, residents can enjoy everything that the town has to offer within their own privately owned apartment designed specifically for the needs of an older age group." To date 15 out of the 35 apartments have been sold or reserved.